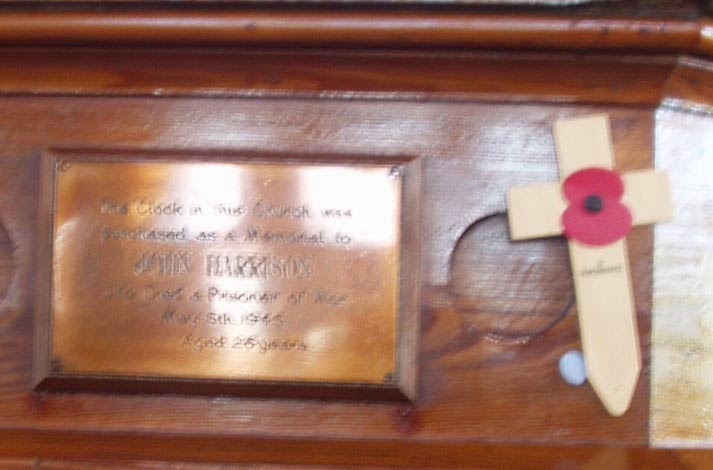 A page for John Harrison has been added to the St Edwards Remembers website. The clock in this Church was / purchased as a Memorial to / John Harrison / who died a Prisoner of War / May 5th 1945 / aged 25 years. John Harrison from Barnsley is buried in Labuan War Cemetery in Borneo, however his date of death is given as 11 May 1945 on the Commonwealth War Graves Commission site.